I have gone quiet for a while due to various travelling and other commitments. Written a few longer things which will eventually land, but for the time being here is my latest piece with Sayyid on al Shabaab’s internal difficulties for Jamestown. The role of foreign fighters in al-Shabaab was brought to public attention once again in October with the release by al-Kata’ib (Shabaab’s media wing) of a video entitled: “It’s an eye for an eye: the Woolwich attacks.”  The video featured ten British jihadis who had died fighting alongside al-Shabaab as well as one Somali-Norwegian shown carrying out the massacre at Nairobi’s Westgate Mall. The video appeared to confirm the prominent role of foreigners inside the East African terrorist networks (Telegraph, October 25; BBC, October 18). The reality, however, is more complicated, with evidence indicating that the size of the foreign fighter contingent in East Africa has been in flux, with a number dying in a complicated internal struggle from which Ahmad Abdi Godane (a.k.a. Abu Zubayr) has emerged victorious. The most prominent casualty amongst this foreign fighter contingent was Omar Hammami, the American who rose within al-Shabaab to become its unofficial poster-boy. Increasingly angered by what he saw as the “authoritarian” approach adopted by Godane, he lashed out through videos and on his Twitter account, claiming he was under threat from the Shabaab leadership. Hammami survived one attempt on his life before succumbing to an assassin’s bullet on September 12. Dying alongside him was Osama al-Britani, a British-Pakistani national believed to be Habib Ghani, a long-standing British fighter in the region who was closely linked to the semi-mythical “white widow” Samantha Lewthwaite, widow of one of the July 7, 2005 bombers of London’s underground system (Daily Mail, September 13). The deaths of the two men came as the capstone of a series of foreign fighter deaths under mysterious circumstances. One of the first to fall was Bilal al-Berjawi, a British-Lebanese sub-commander within the group who was killed by a drone strike in January 22, 2012. A month later his companion Muhammad Sakr was also killed under similar circumstances. While the direct cause of death was clear, the circumstances that enabled the drones to find these individuals were not. Evidence of an internal dispute over the targeting of foreign fighters was found in other areas. For example, in the wake of al-Berjawi’s death, there was a reported exodus of foreigners from Somalia. In late April 2013, senior leaders within the organization published a fatwa (legal pronouncement in Islam) specifically ordering that Omar Hammami, Osama al-Britani and Egyptian Khatab al-Masri not be targeted for assassination. In mid-2010 there was still strong evidence that Westerners, from the UK at least, were providing a fairly steady stream of young warriors to join the Somali group, but the indicators over time have been negative. With the rise of jihad operations in Syria and other Arab Spring countries, young Westerners no longer saw the appeal of joining Godane’s increasingly xenophobic jihad. For its part, al-Shabaab appears more eager to reach out to the foreign community than before. The video “Woolwich Attack: It’s an Eye for an Eye” came in the wake of a YouTube video published by the group that described the journey of a group from Minneapolis who left the United States to join al-Shabaab (the video has since been removed from the Internet). The video eulogized the fallen Westerners in a manner that seemed aimed at recruiting people to come to Somalia and to illustrate how the fight that al-Shabaab was undertaking was part of a larger conflict directed by core al-Qaeda. Having said all of this, there is still some evidence that Godane retains the loyalty and support of some of his foreign cadres. Part of this is evidenced through various media outlets, like the pro-Godane Twitter feed @MYC_Press, which is widely speculated to be run by Samantha Lewthwaite. Whether run by Lewthwaite or not, the account is clearly written by someone whose mother tongue is colloquial British English. Similarly, all of the videos mentioned in this piece are narrated by Abu Omar, an English-speaking Shabaab fighter who has a very clear grasp of the languages and culture of the West, most likely indicating strong foreign links. In terms of the Westgate incident, the growing evidence of a strong link to Somali diaspora elements from Norway suggests the group is still able to call upon its foreign links to conduct audacious operations. However, the dilemma remains about what role foreign fighters will have in the new organization being crafted by Godane. In April 2013, an open letter to al-Qaeda leader Dr. Ayman al-Zawahiri was released by Ibrahim al-Afghani (a.k.a. Abu Bakr al-Zaylai), in which al-Afghani called for the al-Qaeda leader to step into an increasingly fractious battle within al-Shabaab that was threatening to tear the organization apart. At the heart of the division was a split between the local and international fighters, with the two groups divided over al-Shabaab’s direction (African Review [Nairobi], April 9, 2013). Interestingly, it seemed as though the foreign contingent was focused on consolidating power within Somalia, while the faction led by Godane was more interested in expanding al-Shabaab’s international reach, possibly to live up to its role as an al-Qaeda affiliate. It is possibly within this split that we see the seeds of the Westgate incident as well as an explanation of the future role Godane sees for the foreign fighters in his group. While the Westgate plot clearly used assets within Kenya and is therefore in part a product of domestic radicalization issues inside Kenya, it was nevertheless directed and claimed by Godane’s al-Shabaab network. The intent was to mount a large-scale incident to attract international attention alongside other major international jihadist attacks, such as this year’s In Aménas attack, the 2008 Mumbai attack and other large-scale terrorist operations in which mass casualties have been ascribed to al-Qaeda or its affiliates. At the same time, the group’s latest video release pointed to an eagerness to place the Somali cause within a larger ideological arc (highlighting the causes of the Uyghur and Rohignya as examples where the West was proving it did not care about Muslims) and also called upon individuals to conduct terrorist plots in the West. Al-Shabaab has previously refrained from calling openly for such terrorist operations. Delivered clearly and coherently in English, the rhetorical shift is something clearly aimed at a Western audience. The danger for Western security officials is that the group has finally made the long-awaited strategic decision to focus efforts outside of Somalia. At the same time, the decision to make this shift seems to come at a moment when the group is having less success in attracting Western fighters to its ranks, thus depriving them of the most effective tool to launch an attack in the heart of the West. With Syria currently dominating jihadists’ attention, this dynamic is unlikely to change substantially in the near future. In the longer-term, Godane’s clear interest in living up to his group’s al-Qaeda affiliation would suggest more incidents aimed at Western targets in Africa at least are likely. 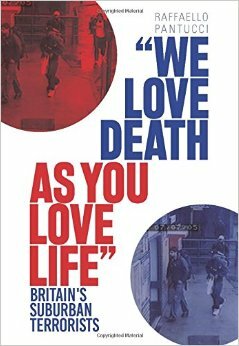 Raffaello Pantucci is a Senior Fellow at the Royal United Services Institute (RUSI) and the author of the forthcoming We Love Death as You Love Life: Britain’s Suburban Mujahedeen (Hurst/Columbia University Press). A.R. Sayyid is the editor of The Somali War Monitor Blog www.somaliwarmonitor.wordpress.com. 1. The video confession was posted in May 2013 and is available:ia600707.us.archive.org/22/items/3d-f7dhrhm-2/SoBeware2_HQ.m4v. 3. Regina vs Mohammed Shabir Ali and Mohammed Shakif Ali, Central Criminal Court, August 1, 2012. 4. Secretary of State for the Home Department vs CC and CF, Royal Courts of Justice, October 19, 2012,  EWHC 2837.